The Powerblanket BH15-RR (UPC 814491010901) Insulated 15 Gallon Drum Heater is designed to achieve a maximum heater blanket temperature of 100°F. This 54" long heater has the Rapid Ramp technology, so drum heating is accelerated during the start-up. The Powerblanket BH15-Pro (UPC 814491010918) Insulated 15 Gallon Drum Heater comes with an Adjustable Digital Thermostat Controller for quick and easy temperature control up to 160°F. This 54" long heater utilizes standard 120 Volt power with 400 watts and 3.33 Amps to safely heat and insulate water, chemicals, oils and food products. The Powerblanket BH30-RR (UPC 814491010888) Insulated 30 Gallon Drum Heater is designed to achieve a maximum heater blanket temperature of 100°F. This 72" long heater has the Rapid Ramp technology, so drum heating is accelerated during the start-up. The Powerblanket BH30-Pro (UPC 814491010895) Insulated 30 Gallon Drum Heater comes with an Adjustable Digital Thermostat Controller for quick and easy temperature control up to 160°F. This 72" long heater utilizes standard 120 Volt power with 720 watts and 6 Amps to safely heat and insulate water, chemicals, oils and food products. 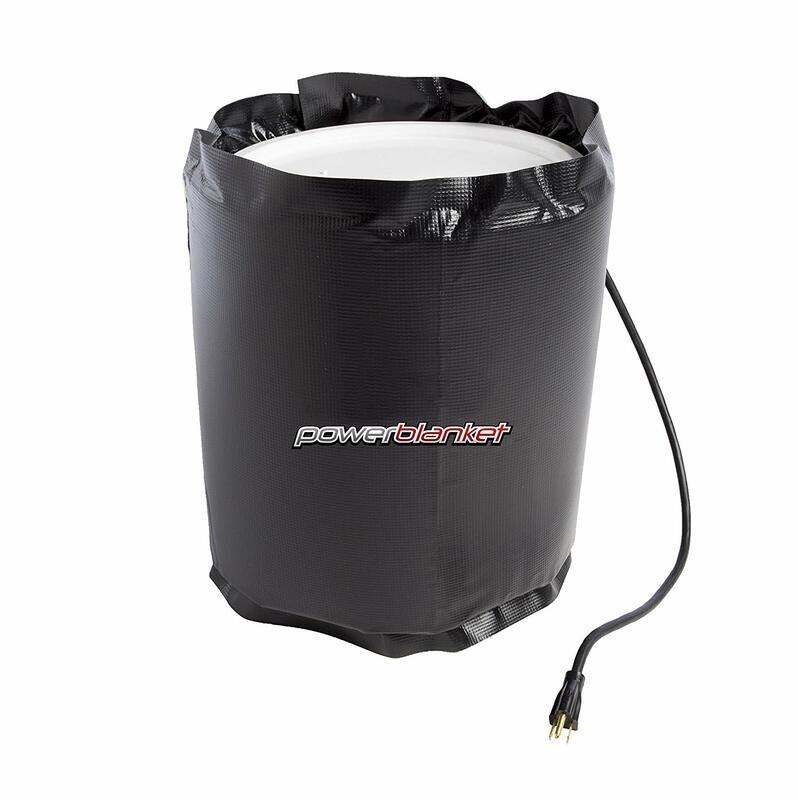 The Powerblanket BH55-RR (UPC 814491010864) Insulated 55 Gallon Drum Heater is designed to achieve a maximum heater blanket temperature of 100°F. This 82" long heater has the Rapid Ramp technology, so drum heating is accelerated during the start-up. The Powerblanket BH55-Pro (UPC 814491010871) Insulated 55 Gallon Drum Heater comes with an Adjustable Digital Thermostat Controller for quick and easy temperature control up to 160°F. This 82" long heater utilizes standard 120 Volt power with 960 watts and 8 Amps to safely heat and insulate water, chemicals, oils and food products.